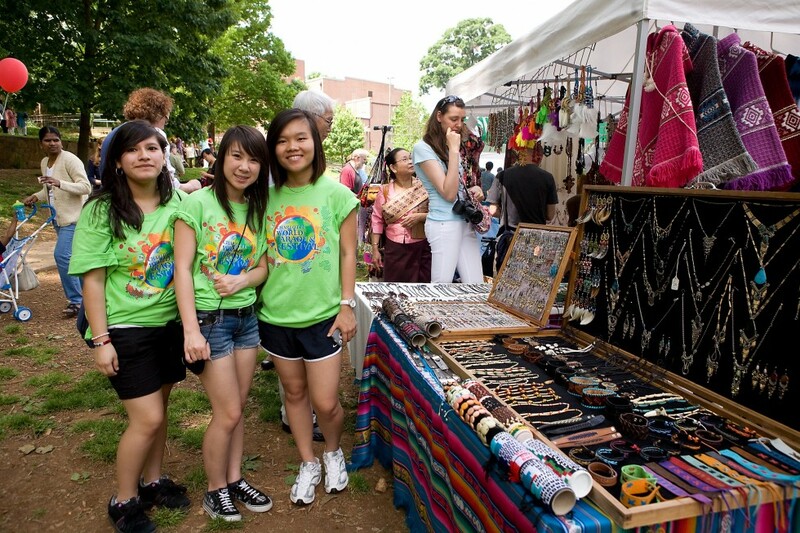 Charlotte’s international community has enjoyed tremendous growth, and in the wake of this increased diversity, many national and cultural groups have organized their own unique festivals. The French, the Turkish, the Germans, the Greek, and other cultural groups all have their respective festivals. The representation of these groups is a great way to highlight Charlotte’s diversity though there are few opportunities for each culture, race, nationality, and ethnicity from around the globe to come together for one special day. 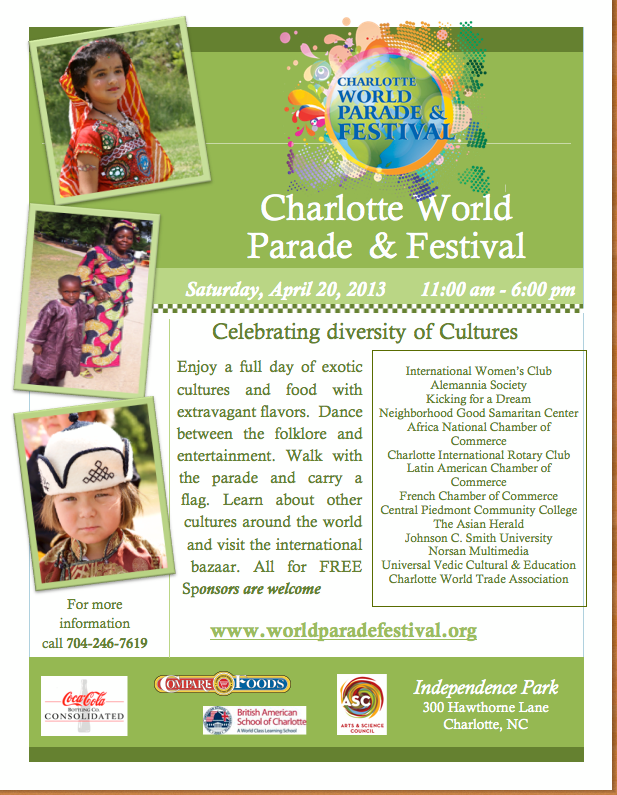 This Saturday, April 20th, Charlotte will host the World Parade & Festival at Independence Park from 11AM – 6PM. The festival will appeal to the five senses of touch, smell, taste, sound, and sight. Expect an Intercontinental Parade, live performances, storytelling in native languages, an international bazaar, exotic cuisines, cultural displays, and more! Overall, the sensory overload and the personal connections made beyond borders and bias will culminate into an event that will endure for years to come. Over 7,000 attended the inaugural event last year, and this year will likely be even larger. Follow the action on Twitter: @WorldParadeFest and hashtag #CLTWorldParade.